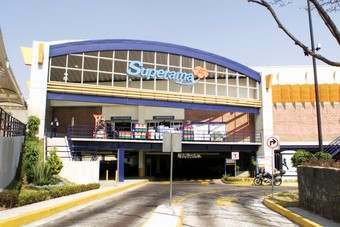 Wal-Mart de Mexico, the US retailer's arm in Central America, has booked an increase in first-half sales and earnings. The company said EBITDA in the first six months of the year rose to MXN18.6bn (US$1.46bn), up 5% year-on-year. Improved operating profit was driven by higher sales and operational improvements, the group sale. Sales were up 3.5% to MXN200.5bn, the group revealed in a regulatory filing. Speaking during a conference call following the results release, CFO Rafael Matute said the "top priority" for the business remains driving top-line growth. However in a "soft sales environment" in Mexico the retailer "reinforced" its "commitment to productivity and cost control". Net income rose 4.9% to MXN10.1bn, the group added. Click here to view the Walmex announcement.